This is a video of a yellow-billed loon; today, near Rheden in Gelderland province in the Netherlands. This species is seen more often in Siberia, Canada or Alaska, where it nests, than in the Netherlands. This is only the 39th yellow-billed ever seen in the Netherlands. This is another video about the Rheden yellow-billed loon. 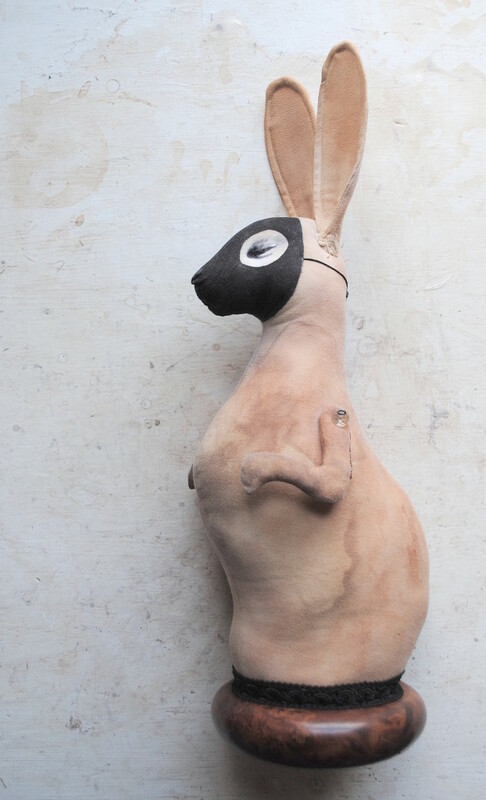 A self-trained textile artist who goes by the name of Mister Finch has crafted a miniature world of flora and fauna that looks as if it was ripped from a vintage store and tossed into Narnia. This is the first e-newsletter from Working For Animals and I want to say thank you for all your support. Because of you we have been able to save the lives of thousands of animals in the foothills of the Eastern Himalayas, in the towns of Kalimpong and Darjeeling, and in the remote villages, tea gardens, and hamlets of Darjeeling District. 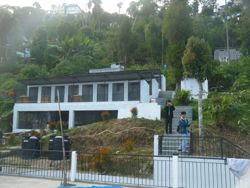 I am writing this newsletter from Kalimpong Animal Shelter where I have been staying for the past month. I am so proud to see the way this shelter has grown. Checking the summaries of reports, I see that since its inception in 1995 the shelter has spayed about 7000 dogs, vaccinated 25,000 animals against rabies and given over 61,000 treatments, mostly to dogs and cats, but also to goats, pigs, rabbits, cattle, horses, hens and even monkeys and donkeys. 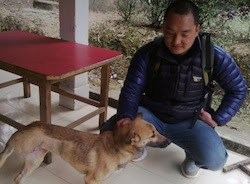 In the past year, the Darjeeling Shelter has carried out a total of 687 dog spays and 129 animal rescues… In total KAS (a bigger shelter) gave 8054 treatments in the last year, and DAS treated 4813 animals: all this despite numerous political strikes and closures, long distances to travel to distant villages, and the rising cost of fuel to conduct the camps. At KAS, there are almost two acres of gardens in which the kennels, dog-runs, operating theatre, office, dispensary, vet’s house, volunteer’s hut, manager’s house, and kitchen are located, as separate buildings. There is enough room for many of the healthy dogs to be free during the day, although ABC (animal birth control) dogs are kept kennelled before and after the key-hole flank spay, and anti-rabies vaccination. When recovered, they are put back on the street in the place they were caught. One of Bhuti’s owners collects her. Among the many cases which I saw treated, one in particular stands out. A small brown dog, named Bhuti, was brought to the shelter by two Buddhist monks from Pedong, a journey of at least a couple of hours. ‘We accidentally ran over this dog’, they said, ‘Do anything, but please save her life’…. Dr. Deo Pandey, and volunteer vet from Sweden, Dr. Christoffer Westin, examined the dog. Christoffer and Deo together carried out the long and difficult operation. A follow-up operation of a skin graft was also required. After a month, the monks came to collect Bhuti. She was completely recovered, and was managing well on one back leg. For more information on the work of the shelters, click here. ESAF (Egyptian Society of Animal Friends) held a Pyramids Clinic on Wednesday, January 8 and Saturday January 11, 2014, to provide food and vet care to the Pyramids animals. The horses, donkeys, and camels are used to give rides to tourists, but during times when tourists are few, their owners suffer economic hardship, and the animals need extra help. 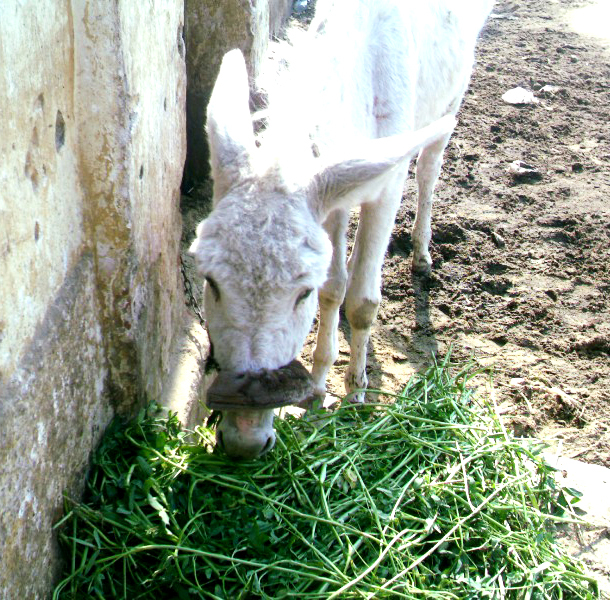 ESAF provided fresh greens to the animals, as well as soft nosebands (to replace wire ones), and gave out educational brochures to the owners to improve the care of the animals. The vets treated any injuries and cared for the horses’ hooves and teeth. 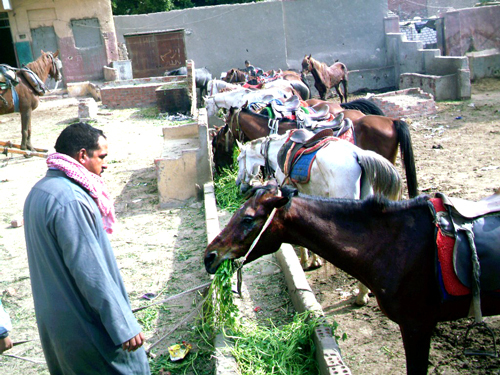 Around 90 animals were fed and cared for. Ahmed El Sherbiny thanks Sue Evans for her sponsorship of the Pyramids Clinics. This video from Scotland is called Shetland Birds – A Red necked Phalarope on Fetlar. January 2014: A tracking device, which weighs less than a paperclip, has helped scientists uncover one of the world’s great bird migrations. It revealed that red-necked phalaropes in Shetland migrate thousands of miles west, across the Atlantic to the Pacific Ocean; a journey never recorded for any other European breeding bird. In 2012 the RSPB, working in collaboration with the Swiss Ornithological Institute and Dave Okill of the Shetland Ringing Group, fitted individual geolocators to ten red-necked phalaropes nesting on the island of Fetlar in Shetland, in the hope of learning where they spend the winter. A female golden eagle flies from her rocky perch as an early season snowfall blankets Wyoming’ssagebrush steppe. Our Multimedia program is working on a documentary about the great sagebrush ecosystems of the American West. Tying together the many strands of that story is one of the region’s top predators, the Golden Eagle. On a filming expedition last fall, as a morning snowstorm descended on the gray-green plains of Wyoming, we captured a brief moment with one of these majestic predators. January 2014: wildlife cameraman and natural history presenter, Gordon Buchanan will talk to the Holyrood Petitions Committee about getting the golden eagle adopted as Scotland’s national bird: here.